A Democratic candidate lost a one-vote lead over her Republican opponent in Virginia’s House of Delegates race. The election is now tied, and will initiate a process in which one candidate will be drawn at random. The unusual circumstance behind the Virginia House of Delegates race may boil down to a random name-drawing procedure involving canisters and a glass bowl. On Tuesday, Democratic candidate Shelly Simonds lost her one-vote 11,608-to-11,607 lead over Republican incumbent David Yancey, following an appeal over the nullification of an obscure ballot. A Republican recount official reportedly called into question one voter’s ballot, which showed that the voter selected Republican candidates throughout the ballot, but had selected both the Democratic candidate Simonds and Republican incumbent Yancey filled in. The bubble for Simonds had a line drawn through it. A three-judge panel determined that given that the voter selected Republican candidates in all other sections and crossed out Simonds’ bubble, they intended to select Yancey. With the race in a 11,608 to 11,608 tie, the winner will be chosen by the election board, according to Virginia law. For local elections in the state, the electoral board typically would draw a name out of a hat, such as an “old fashioned tri-corner hat,” Alcorn said. But the state board may choose a different method to the madness. 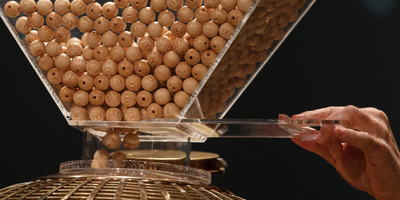 When determining the order of candidates on a ballot, the state board would write a candidate’s name on a piece of paper and insert it into a canister. The canister would then be put into a bowl and shaken, after which an official would select a canister. “It’s that or it’s straws,” State Board of Elections member Clara Belle Wheeler said in the Times-Dispatch. If Yancey chosen as the winner, Republicans would continue their 17-year control of Virginia’s House of Delegates. If Simonds is selected, the Virginia House will be split evenly with 50 members from both parties.